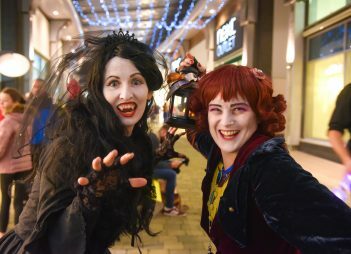 This Halloween and half-term, a bewitching week of entertainment awaits at Northern Ireland’s premier outlet shopping destination, The Boulevard in Banbridge, as the highly anticipated Halloween Spooktacular takes place from Friday 26 October – Sunday 4 November. With a host of ghoulish events, creepy competitions and monster offers lined-up, there are lots of must-do family activities throughout the Halloween holidays and beyond. 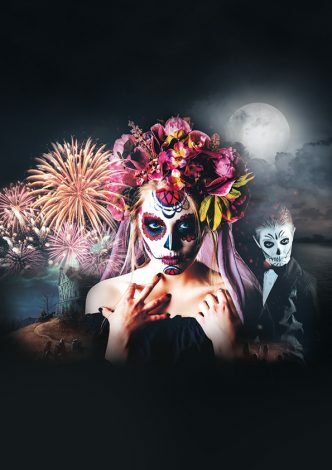 Check out our top picks for a haunting Halloween celebration at The Boulevard. On Friday 26 October from 5pm, the highly anticipated Halloween Spooktacular event will have lots to keep little monsters entertained, with freaky fairground rides, spooky circus acts, a colouring competition in Toytown and Halloween goodies and giveaways. Guests are also invited to come dressed in their scariest costume and take part in a fancy-dress competition, with Q Radio Breakfast Show’s Stephen and Cate picking their favourite on the night. 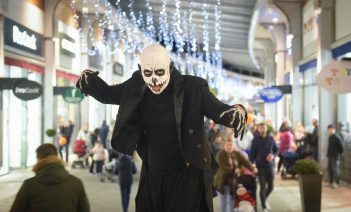 Children from local primary schools will illuminate the mall with a lantern parade of their own crafty creations and a frightful fireworks display, hosted in partnership with Armagh City, Banbridge and Craigavon Borough Council, will end the evening with a bang with a dazzling display of light. Feast on seasonal flavours across The Boulevard’s wide selection of tasty cafes and restaurants, with Autumnal food and beverage product sampling on Friday 26 October. Making a day of the Halloween celebrations? Visit Linen Hill Kitchen & Deli for early bird meal deals from 5pm – 6pm. While the little ones are entertained, shoppers can take advantage of monster discounts of up to 70% off high street prices and designer brands, including: adidas, Skechers, Toytown Kurt Geiger, Next Outlet, Nike Factory Store, The Perfume Shop, Asics, Beauty Outlet, Gap, L.K. Bennett and more. We’re making the most of Halloween fun this half-term when spooky stilt-walkers, glow jugglers and unicyclists will continue to roam the mall from Saturday 27 October – Sunday 4 November. Shoppers can also delve into the lucky dip cauldron at Guest Services, offering a selection of gold, silver and bronze prizes for anyone making a purchase at The Boulevard throughout the Halloween and half term period. 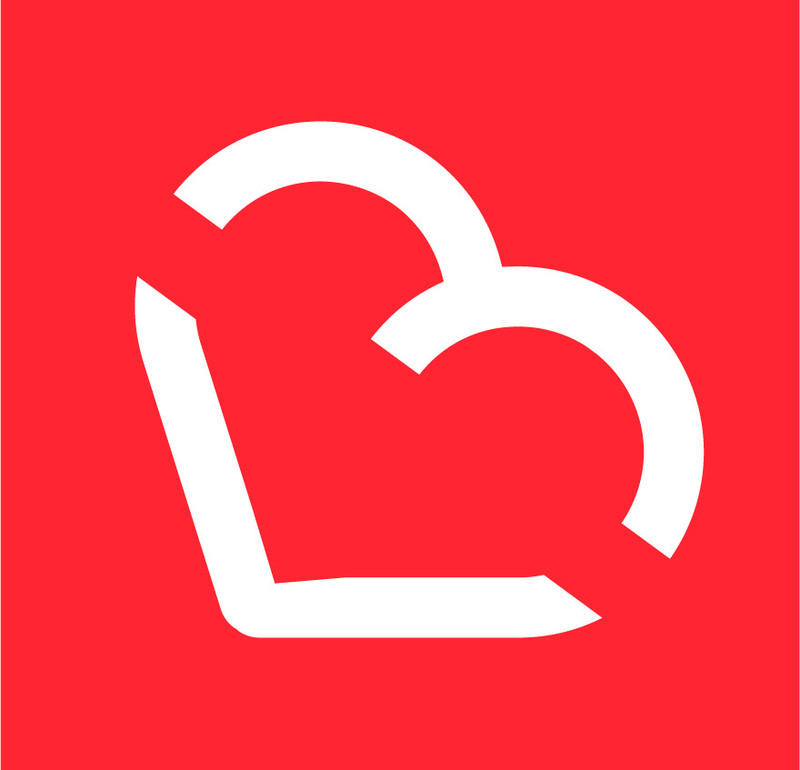 From Saturday 27 – Sunday 28 October, the first of three-monthly Artisans at The Boulevard events will launch, welcoming a selection of Irish producers selling unique creations including fashion, jewellery, homewares, art, home baked goods and much more. *There will be road closures in place from 8.15pm on Friday 26 October in order to complete all necessary safety checks. Cars cannot get access to The Boulevard after this time, so guests are advised to arrive early. Next articleGroundbreaking collaboration between Department of Justice, Hydebank Wood College and Belfast’s Lyric Theatre tours across Northern Ireland.